Plot Summary: Kugayama is a gifted music teacher, but a man with little ambition. Despite being born to a wealthy and prominent family, he passes his days in apathy - content to simply go through the motions of life. 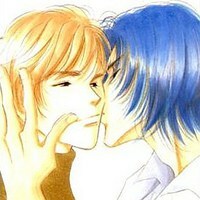 The one day, ex-student Azuma Tanaka comes to him for help in studying for a prestigious music school's entrance exam. Kugayama finds himself drawn to Tanaka's budding youth and enthusiasm, invoking a desire he's never known before. The feelings might interfere with Tanaka's ambitions or Kugayama's peers might find out about the relationship. The two could write their passion into a wonderful composition of love... or they could be doomed to sing solo forever.